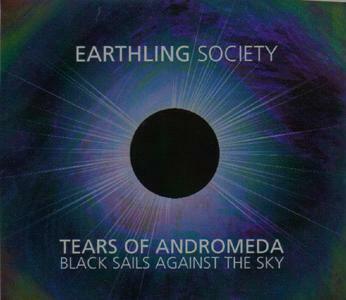 Earthling Society are really on a roll. Their third album was released by Nasoni Records just around the time they performed at Roadburn 2007 and it's chock full of cosmic music that trips all over the Space-Psych-Krautrock axis. "Wromg" opens the set and after a brief intro of swirling liquid psychedelic guitars and keys it bursts into a motorik styled tune that recalls Neu!, but deep in psychedelic space. "Black Country Sorcerer" is an easy paced, deeply meditative song with a seductive melody. The keyboards that envelope the song hail back to early 70s cosmic prog and are accompanied by a light piano and acoustic guitar melody. And just to keep things ultra freaky we've got alien synth bits dashing in and out throughout the song. "Miss Liberty's Morning Dew" is a classic Earthling Society trip rocker. It's got a powerful 60s psychedelic vibe, but combined with the trademark Earthling Society space rocking jam style. And of course we've got some tasty longer stretch out tracks. "Lucifer Starlight" begins as a trippy acoustic psychedelic song, though the accompanying drums and synths are part of an extended buildup. For a little more than half of the 11 minute song the band create a sense of tension as they trip along, the listener knowing they're going to bust out at any moment. And when they do… BAM! They launch into a mind blowing space rock jam that's like classic Amon Düül II. You want MIND-MELTING? This is it folks. "A Song for John Donne" is next and starts off with some playful cosmic introductory noodling. The music slowly starts to gel into the main theme, but the band keep things nicely off kilter with contrasting elements and a touch of dissonance from the guitars and wind instruments. Eventually it settles into a shimmering psychedelic song with a nice trippy acoustic psych groove on the one hand, but has all manner of freaky atmospherics surrounding it. Reminds me a lot of Dave Tor's old Mynd Muzic and Earcandy albums. A well crafted combination of sheer beauty and wildly surreal psychedelia. At 20 minutes, "Tears of Andromeda" is the longest track of the set and spends no time on introductory pleasantries. The band gets down to brass tacks right out of the starting gate, launching into a searing psychedelic space rock jam. This sucker is just relentless, rocking along like an interstellar steamroller, drawing on the best of heavy rocking krautrock and acid psych influences, and all within the now recognizable Earthling Society style. And these guys really keep the cosmic flow going seamlessly for the full 20 minutes, carefully developing the music and weaving in various thematic shifts. Absolutely awesome! Finally, "(Almost) Transparent Blue" is a relatively short track that wraps up the album. It's a throbbing electronic piece that brings the set in for a nice landing. If you're already familiar with the band and like what you've heard then you're guaranteed to dig Tears of Andromeda. For newcomers this is an ideal place to start.